Buying a house requires you to do a lot of homework. Would you love someone to guide you through the process and explain the different aspects of investing in the right project? 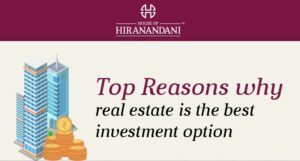 We, at the House of Hiranandani have introduced a new concept known as ‘Realtyism.’ It is a set of videos that guides you to follow the right process to invest in real estate. In this instalment, we shall see the following aspects. The role of the Real Estate Regulatory Authority (RERA) and understand the rules and regulations to protect the buyer. The Government of India has introduced the Foreign Exchange Maintenance Act (FEMA) that governs the investments by these NRIs and PIOs in real estate. According to the FEMA, the NRIs can invest in all kinds of residential and commercial properties except farmlands, farmhouses and plantation properties. The investing NRI has to be careful about certain aspects when they invest in real estate. The NRIs should check out the environmental and municipal clearances, and the title documents to ensure the developer has the legal title to transfer the property in the name of the society. The NRIs should verify the developer’s real estate regulatory authorities’ registration number from the RERA website. Remember that the NRIs have to pay stamp duty at the applicable rates. Also, there is a GST component. The NRI has to execute a general or a special Power of Attorney in favour of the developer. Home loans are available for NRIs depending on their income credentials. Banks usually instruct margin requirements between 15% and 20%. The margin is the contribution of the borrower towards the project. The banks in India have attractive loan products for NRIs. These banks also allow the NRIs to avail loans in joint names with resident Indians. The NRIs should remit the margin from their NRE or NRO The repayment of the loan should also be through these NRE and NRO accounts. The objective is that the repayment of the loan should be from remittances from abroad. In case they decide to sell the house within three years, it attracts short-term capital gains tax. 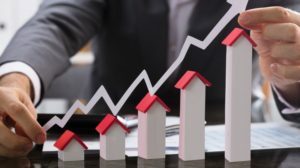 If the NRIs hold on to the property for a longer duration before selling it, they get the benefits of long-term capital gains tax that allows them to invest in similar real estate properties. The Income Tax Act, 1961, offers various benefits in income tax for home loan borrowers. Here is a gist of the tax benefits of investing in residential property. Sec 80C of the Act allows the owner of the property to claim benefits in repayment of the principal component of the home loan up to a maximum of ₹ 150,000 per annum. You also get tax benefits on payment of stamp duty, registration, and all expenses undertaken to transfer the property in your name. Sec 24D of the Act extends the benefit of home loan interest repayment up to an amount of ₹ 200,000 every year. Joint owners of the property can get individual benefits, provided the repayment is from their personal The recent amendments to the act allow you to claim tax benefits on loans taken from friends and relatives, provided there is proper documentation. These benefits are allowed only if you retain the house for a minimum period of 5 years. This video provides comprehensive information in this regard. The Indian Government has constituted the Real Estate (Regulation and Development Act), 2016 to protect the interests of the real estate investors. This act establishes the Real Estate Regulatory Authority (RERA) in every state to streamline the real estate industry. These are the rules and regulations to protect the property buyer. The RERA takes care of the following aspects. Buyers should ensure that the developer satisfies the following norms stipulated by RERA. RERA stipulates keeping aside of 70% of the amount collected for the use of developing the property at the concerned stages. RERA has laid down prescribed format for agreement. Check whether the developer has incorporated all the clauses of the prescribed format before signing the agreement. In case of any modification in the plan, it should be agreed by a minimum of two-thirds of existing members/buyers in the society/project. On payment of 10% of the booking amount, it is mandatory to enter into an agreement for sale with the developer. RERA makes it compulsory for denoting the area of the property in the carpet area and not the built-up area. In case you purchase property through an agent, registration of the agent with RERA is compulsory. Implementing these guidelines might increase your purchase price, but you get peace of mind as you are assured of the quality of construction and timely delivery. This video, will explain these aspects in detail.